Breakfast just got more delicious! 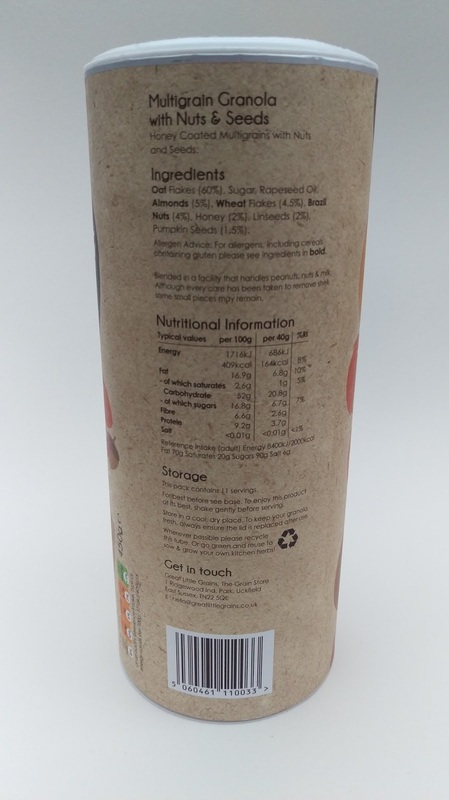 I have to begin by commenting on the packaging, huge kudos to Sown & Grown for creating an easy to open and store tube, to keep the great little grains safe and fresher for longer. I am often teased by my man about the lack of skills I possess when trying to ‘get in’ a product or some kind of packagaing. The fact that this granola was not in a bag, that I could potentially rip apart and then spend the rest of the day clearing up, was a huge bonus to me. I simply popped off the lid and peeled back the foil seal and I was in! The tube is made of a composite material which is a combination of cardboard and foil and has the same properties as Tetra pak which is now widely recycled, BUT I don’t plan on parting with such a good quality tube any time soon, I am already planning the next chapter of it’s life, a spaghetti storage tube is what I have in mind, which will help me eradicate the pain I feel, when I open the kitchen cupboard door and that pesky already opened spagetti pack slips out and kindly spreads each strand all over the floor!….ok back on topic now…. I was lucky enough to be able to choose which flavour combo I wanted to try. I went with the Nuts & Seeds Multigrain Granola because I am always trying to find new ways to enjoy a few extra nuts in my life, ooer. 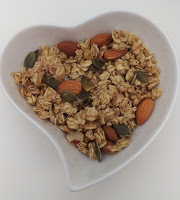 The granola is high in fibre, no added salt, suitable for vegetarians and is made with 100% British grains, which have been sown & grown and baked in the heart of the English countryside then combined with a blend of almonds, brazil nuts, linseeds & pumpkin seeds….coincidently a few of my favourite nuts! Other Granolas that are available…. Seriously, how delicious does all of the above sound? which one would you choose? I was super happy with my choice of the Nuts & Seed Multigrain Granola. I found the nut to grain ratio spot on. The nuts were also very visible, which I loved. You know when sometimes products say “contains nuts”, but the nuts have been crushed and have become so unrecognisable that you are not sure what nut you are eating. This is not the case with Sown & Grown, there were whole almonds, pumpkin seeds, linseeds and good chunks of brazil nuts through out the whole granola. I enjoyed eating the granola with fresh berries and natural yogurt, as a breakfast. One morning when it was a bit chilly and I really fancied something that would warm my cockles up, so I heated up some almond milk and poured over the granola and I REALLY enjoyed that alot. I can’t seem to stomach a porridge like texture so this was definitely a great winning alternative for me. Also, you know when it’s an hour before dinner and you feel abit peckish, but don’t want to eat anything too filling? Well I think I have nailed that brief. By using some Sown & Grown Granola, mixed with a little melted coconut oil and bluberries, I made some Blueberry Bombs. 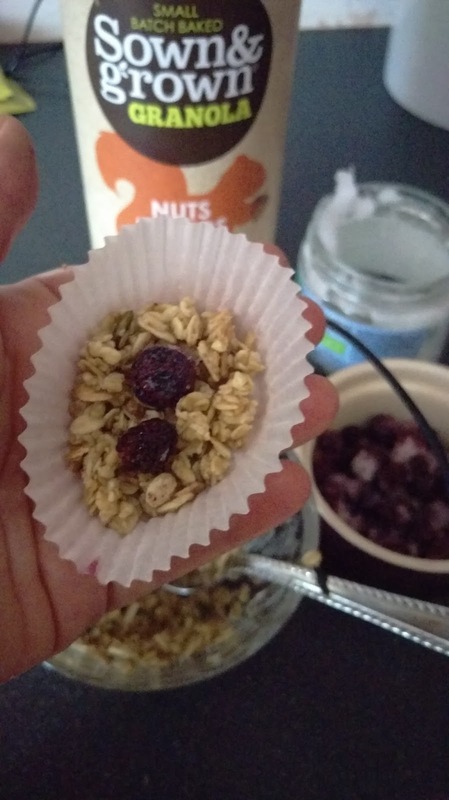 The granola worked really well for these, it held together and provided a really tasty toasted ball to snack on, which kept me happily going until tea time. My trick when making these style of snack balls is to use a cupcake case to spoon the mix into and by squashing up the case sides and twisting the top, you can create a perfect little wrapper to keep your balls safe and it also stops your hands getting in such a mess…or maybe that’s just me. 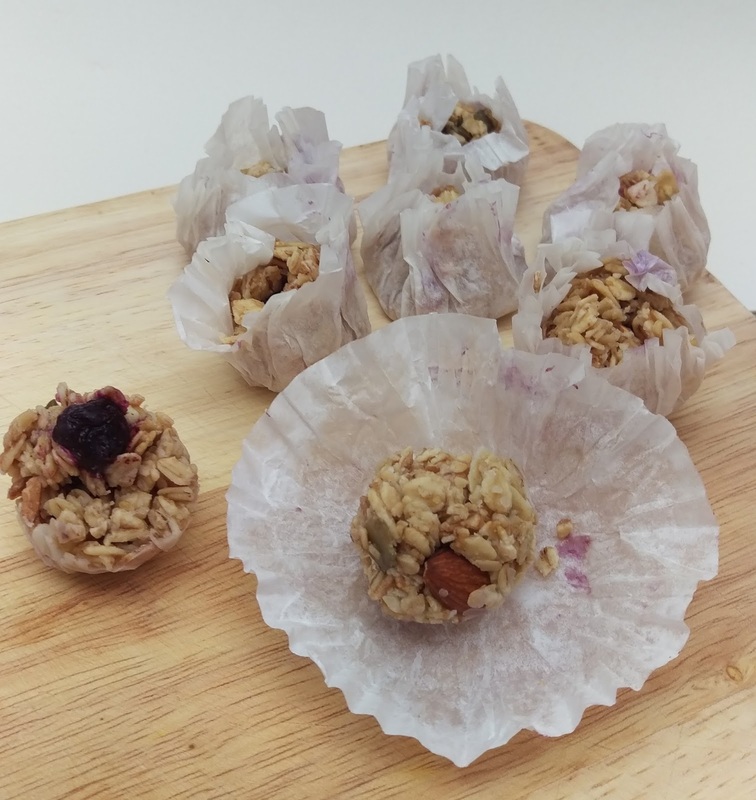 If you would like me to write up the full recipe for these Blueberry Bombs please comment below and let me know. I think they look quite pretty in paper cases. what do you think? To conclude, the granola was tasty, full of nuts and kept very fresh in the tube. I really enjoyed trying Sown & Grown and I will definitely be visiting Sainsburys to stock up and try the other flavour options in the range, very soon! This product was provided to me free of charge on behalf of the company in order to review it. However the opinions expressed in this review are independent and my own. Oh yum! We eat a lot of granola in our house, so I can't wait to try this. This sounds super yummy. We eat a lot of granola on yogurt and ice cream. I need to try this. The Blueberry Bombs look amazing. I love granola, too. I like mixing my own granola. Using the filters as cups is a great idea. I would love to do this this weekend for my kids snack. I love granola, especially during busy days wherein I barely have time to make a meal. It's the perfect go to food for me. I often prepare it with greek yogurt and some honey. This brand is a must try! That container takes up a lot less space, so I love it! The cereal sounds fantastic too. The Apple and Black Currant granola sounds delicious! And, I completely love their packaging too! Definitely “out of the box” thinking! Great quote up there! Those look very appetizing and I love the packaging. And yes, they look good in paper cases. Looking forward to your Blueberry Bombs recipes! I love the packaging! So clever. These look delicious. I just picked up the oats and honey to make granola today. It is a favorite here and we go through alot. That looks yummy! 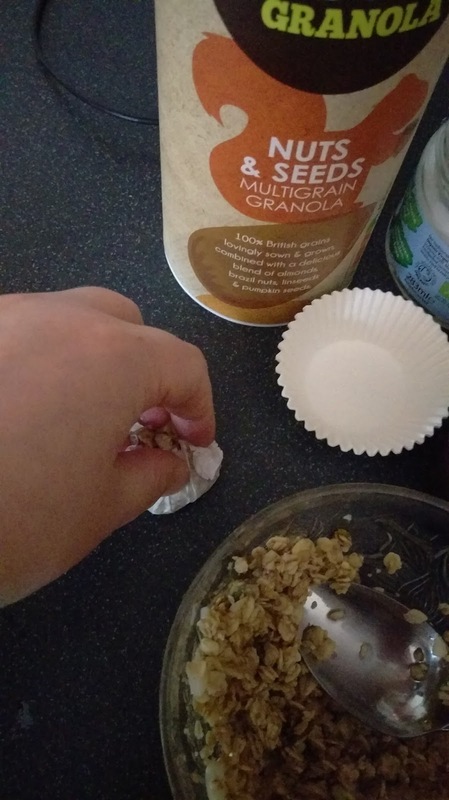 I love granola and I like adding it into my overnight oats. I love granola, but I haven't tried this brand, yet. I will add this to my grocery list. Im not a fan of granola but this one is something new to try on. Also fun for the kids to make Thanks! Sounds really good. I love granola! I love how you made them in to balls. That looks really tasty. Oh my yes! 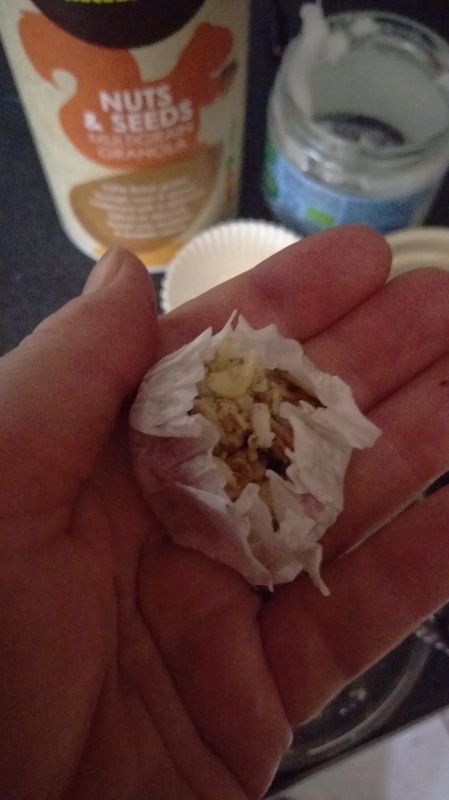 I make granola, but this is the first time I've seen the bombs. Love anything granola, it's so healthy and great in general. Thanks for sharing this! It would be great to travel with, definitely wouldn't get crushed! granola and ice cream?? great idea!!! I love a good pun 🙂 thumbs up to you Jessica. I love overnight oats too! The granola sounds and looks delicious. Would love to try with some natural yoghurt and berries too. I like that idea? It's true, you could use any bag you want with your products. Although, you need to make sure that there's a purpose. An example would be the shape of Pringles. They're trying to save money and space, yeah? It sounds so delicious! 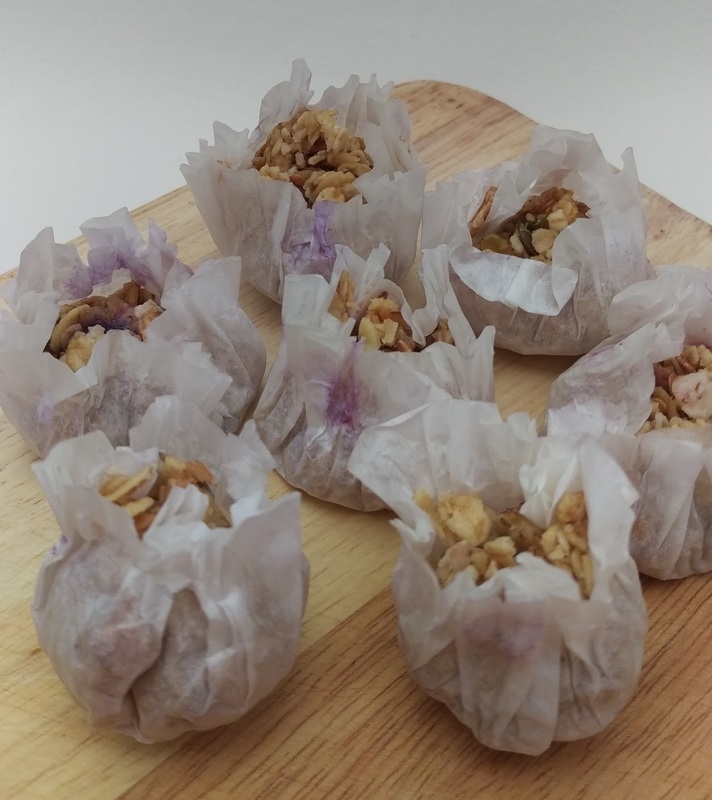 I love granola and can't wait to try your recipe! I found the shape great for storage and it keeps the granola fresher for longer. Definitely a winner! It's true though. The packaging in a way matters and it's really nice when the inside is just as pretty as the outside and equally good.